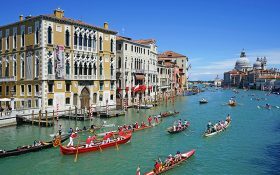 Fall in love with Venice and take part in the most anticipated events of the year. 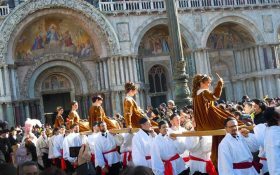 On April 25th, 2019 take part to the Feast of St. Mark in Venice, enjoy the tradion of the city with Baglioni Hotel Luna. 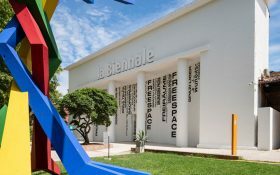 The 58th edition of the Biennale d’Arte will be held from 11 May to 24 November 2019. The Exhibition will be held from the Central Pavilion (Giardini) to the Arsenale, and will include 79 artists from all over the world. 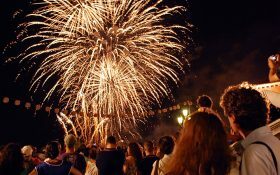 The Festa della Sensa is an ancient celebration of the relationship between Venice and the Sea: June 1-2, 2019. 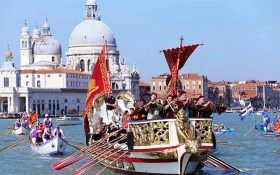 On June 9th 2019 the traditional Vogalonga returns to Venice, the historical regatta of rowing boats sailing in the Venice lagoon. Saturday 20th July 2018: an unforgettable evening full of emotions.